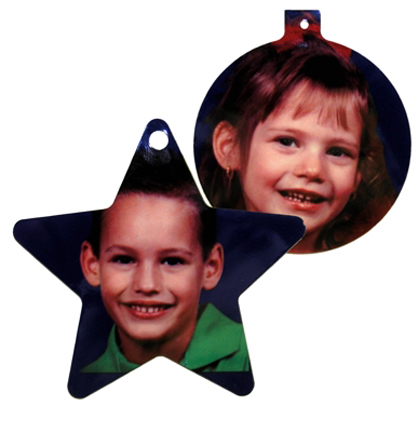 "Put your own angels on the tree with adorable photo ornaments. Round porcelain ornament measures 3 diameter and your photo appears on one side with a small hole for thread near the top. Gold thread is included. File Upload: For best results, image files should be in jpg format with no compression (300 dpi best). This unique product may require creative cropping and composition. The photo may be enlarged so as to create the most beautiful rendition possible.